The luxury Aria Residences celebrate air and light. Photos: Supplied by Belle Property Group. 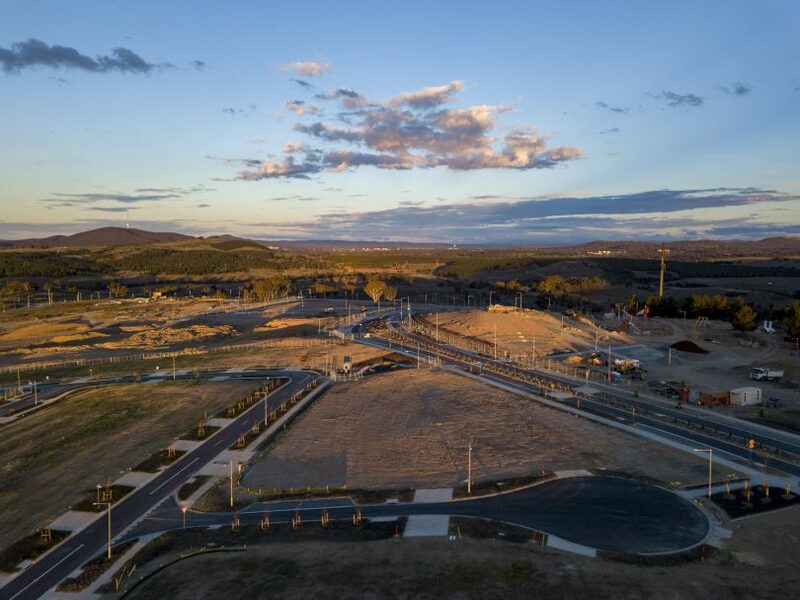 Overlooking Molonglo Valley with a panoramic northerly aspect and easterly views towards Black Mountain and the city, the luxury Aria Residences in Denman Prospect have so much to offer. This boutique development of seven townhouses, a mix of three and four-bedroom, has been created to enjoy and built to last. The main, open-concept living area features wooden floors and a large, well-designed kitchen—the heart of the home. 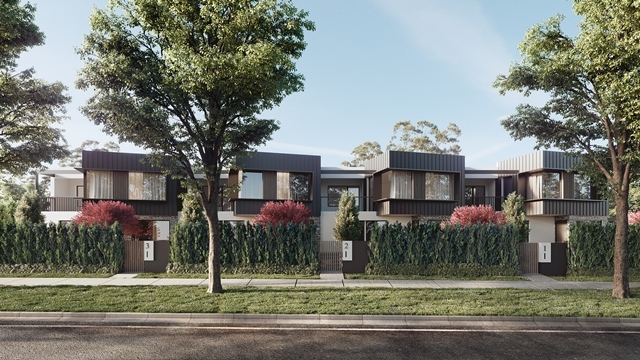 Aria Residences: a boutique development of seven townhouses in Denman Prospect. The main bedroom is a private haven, with ensuite, floor-to-ceiling windows and large sliding doors leading onto a private balcony. All units have a separate main bathroom with stone tiles and large windows, as well as a powder room. The main bedroom is a private haven with large sliding doors leading onto a balcony. The luxury townhouses each have strong street appeal. Exteriors enjoy stone and timber accents. Each townhouse has a double garage with a separate, private entrance. 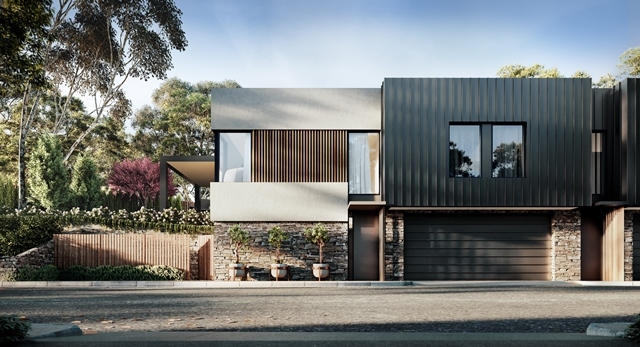 Monarch Building Solutions is one of Canberra’s most innovative builders with extensive experience in, and a proven record of, residential construction. Thursday Architecture has a reputation for creating timeliness and contextual designs that inspire, engage and excite. Studio & You specialises in creating tailored interior architecture for residential, multi-residential and commercial developments. 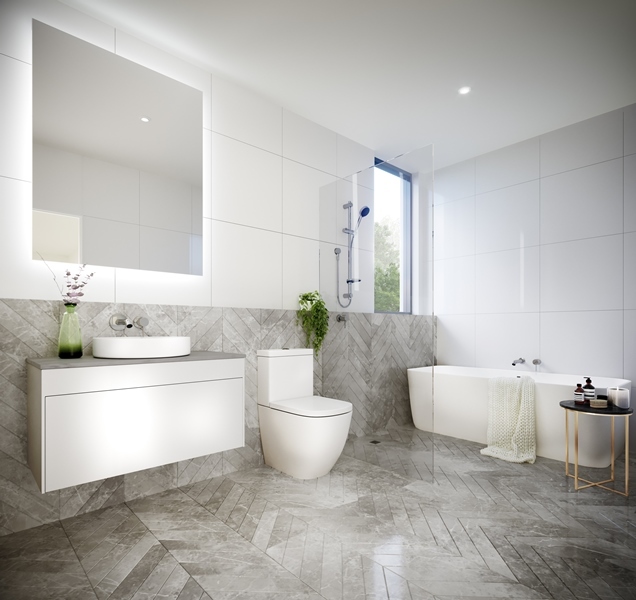 Bathrooms are light and contemporary. Aria Residences enjoys Ridgeline Park and playground on the doorstep, with picnic and playground areas, walking trails and beautifully landscaped spaces. The Park also has a viewing deck with 360-degree views of Canberra, making it the perfect spot for family, friends and visitors. The development also enjoys great views of Mount Stromlo and the Arboretum. The Residences are also just moments away from Denman Village—dubbed Canberra’s most unique shops. The shopping centre, at the heart of the Denman Prospect community, features a 1,000 m2 supermarket, backed by the team from the Supa IGA in Yass. The centre will also include specialty shops, a butchery, cafes, medical facilities, a chemist, a gym, plus dozens of other essential amenities. 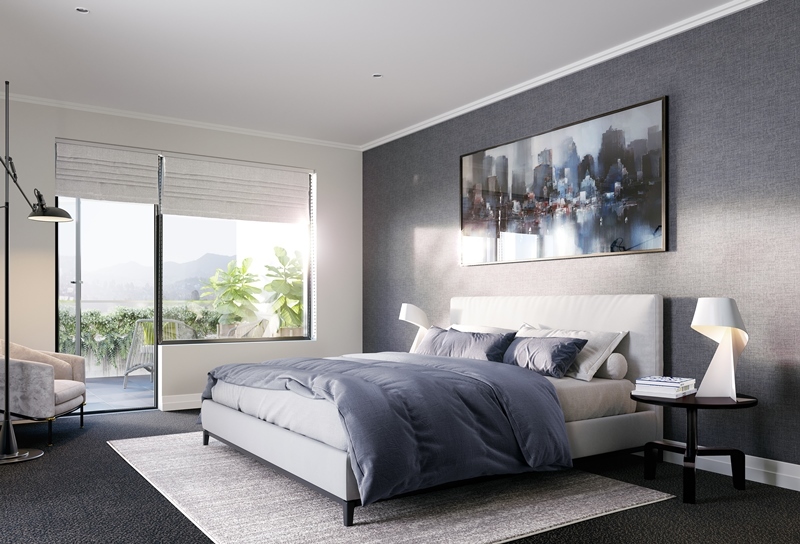 Aria Residences officially launch on 21 March, but townhouses are for sale now with early buyers able to customise some aspects of their purchase. Exteriors feature stone and timber. Aria Residences overlook Molonglo Valley with a panoramic northerly aspect and easterly views towards Black Mountain and the city.